Policies Milliken Creek Inn & Spa seeks to provide a romantic and quiet atmosphere for guests looking to relax and renew. 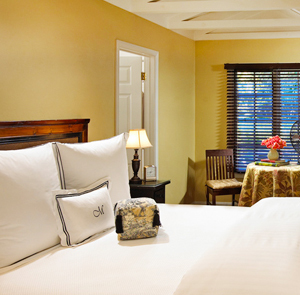 Each guestroom accommodates only two individuals. Should three people attempt to check into one room, we will not be able to accommodate the party and we will assist with finding alternate accommodations. The entire deposit will be forfeited. If one of the two individuals traveling is under 18, please speak with a front desk agent prior to booking in order to reserve a room that is suitable. Only one of our guestrooms can accommodate a child. Again, if this is not scheduled in advance we will likely be unable to accommodate the stay and will assist with finding alternate accommodations for the party. The entire deposit will be forfeited. 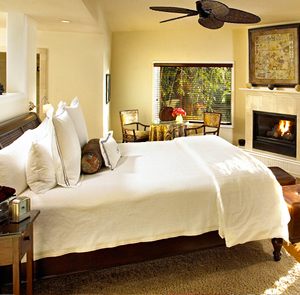 We are a non-smoking property Smoking is not allowed in any guestroom or public spaces. However, in our desire to accommodate guests’ needs, we ask that you discretely use our outdoor areas. Deposit and Fees A refundable deposit of one night's room rate plus tax and service charge is required to secure any reservation. When your reservation is confirmed you will be guaranteed a room at the quoted and agreed upon rate. Fourteen days prior to your arrival, non-refundable prepayment for the remaining nights of your stay is required and will be charged to the credit card on file. 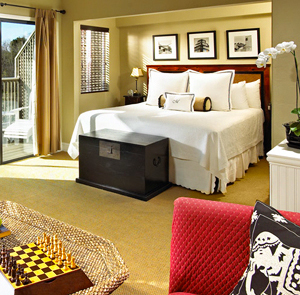 All room rates are subject to a 14% local state tax plus a 12% service fee (inclusive of all taxes) per evening. Our services include: gourmet daily breakfast for two including a made-to-order hot entrée, fresh pastries and French pressed coffee; all staff gratuities; guest passes to Synergy Wellness and Fitness Center (up to two passes per room per night); WiFi access in your guestroom and throughout the property; DVD “rentals” from our extensive library; bottled water and soft drinks; evening cordial bar with premium ports; and nightly Magic Hour wine and cheese reception. The maximum number of guests per room is two. Cancellations and Changes Cancellations made prior to 14 days of your arrival date will be refunded the original deposit, minus a $100 processing fee. Any cancellations thereafter will forfeit payment for the entire stay. Reservation changes made prior to 14 days of arrival are subject to a $50 fee. Changes are not permitted within 14 days of your arrival. Early departures will be charged for full amount of original reservation. Room rates posted are subject to availability and may change without prior notice. Check-in Time is 4:00 p.m. Should you arrive early, please feel free to enjoy our extensive grounds and gardens until your room is ready. Arrivals after 9:00 p.m. MUST make prior arrangements with our reservations staff to ensure access to your room. Check-out Time is 11:00 a.m. Please feel free to enjoy the river and gardens, but in order to give the room the attention you and all other guests deserve, all guests must check-out by 11:00 a.m. on the morning of your departure. Late checkouts require prior arrangement, or after 12:00 p.m. a $200 late check-out fee will be applied to your bill, unless otherwise arranged with the front desk. Garden View or River View.